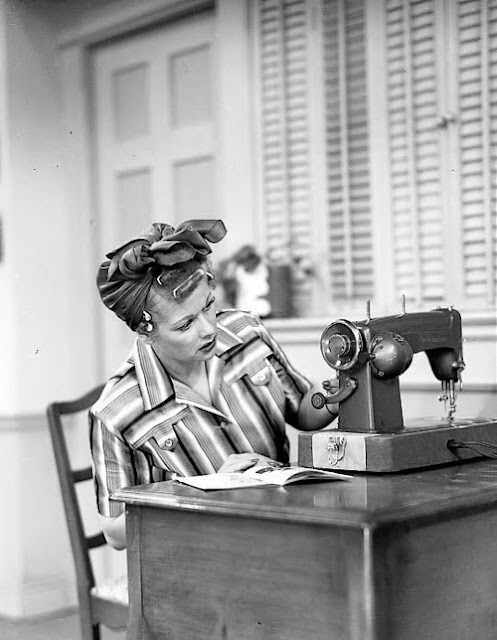 We all have those times when our sewjo goes missing. One day you're zipping through those projects and accomplishing lots and the next day is 'meh' without reason. I try to go with the flow and not force myself to create but there are times I need to little help to finish off projects or produce designs. It can be exasperating when you want to make something but just aren't in the mood. Here are my top 8 tips for ways to get your sewjo working! 1 - Switch off! Yes I mean that literally by turning off your phone, shutting down your computer and avoiding social media. We all get that sensory overload that blocks us creatively and cutting it out really does help sometimes. Then you need to let yourself just be. Take a long shower, have a bath, lie down in a dark room. Shut out the world and be still. Even if it's for one evening it will reboot your mind. 2 - Switch on! Sometimes you need some stimulation and while Instagram and Pinterest are full of fabulous makes and inspiring pictures, seeing everything all at once is sometimes a bit too much for me when I'm trying to get creative. I prefer to read a good blog, watch quilting videos on YouTube or an online class. That way I feel like there's more depth and focus, it allows me to concentrate, engage in the narrative, and gets me thinking about how I might change a project or what my own version would look like. 3 - Switch it up! I tend to mix things up and often have several different projects on the go. I like to have some hand piecing, some english paper piecing and a machine project, that way I can work a bit on whatever takes my fancy. If it's none of the above then I might chose another craft, like picking up some embroidery. 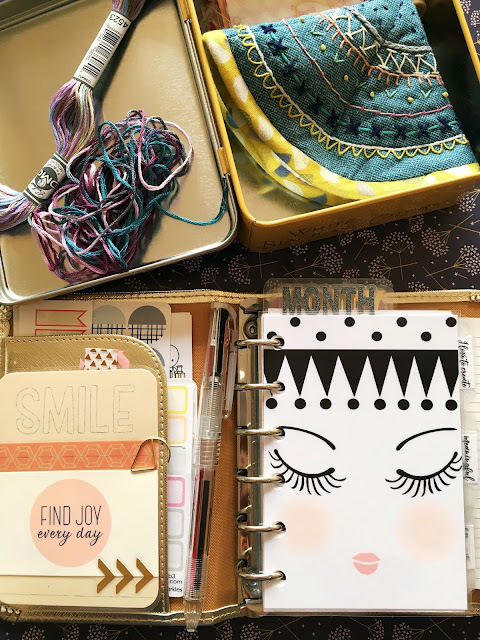 While working on different projects at the same time might not be your cup of tea, swapping between crafts or techniques for each project could keep you from getting bored and allow you to explore your creative ideas using different mediums. 4 - Do you! If I feel like something isn't really my taste or style then I won't enjoy doing it. Do what you love, using fabric you love, in colours you love... you get the idea. 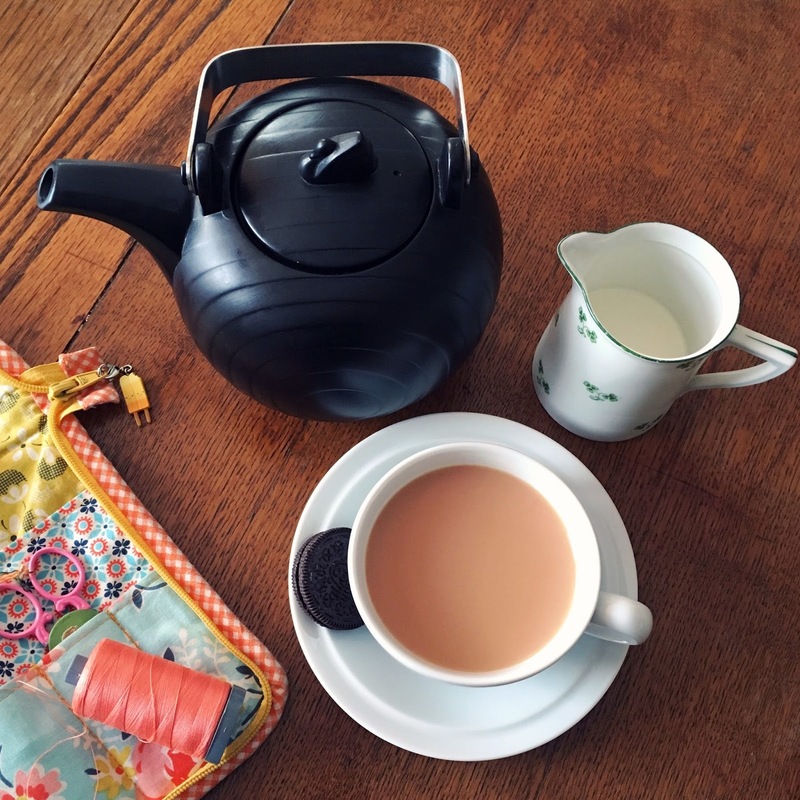 Working with supplies that speak to you and patterns that excite you really can help kick start that sewjo. Listen to your gut, be honest when things aren't working or you aren't enjoying making them. Find your style, feel free to change it, contradict yourself or stick to one thing, as long as you like it. 5 - Start small! When I'm stuck creativity it can be making something small that brings back the joy of sewing. 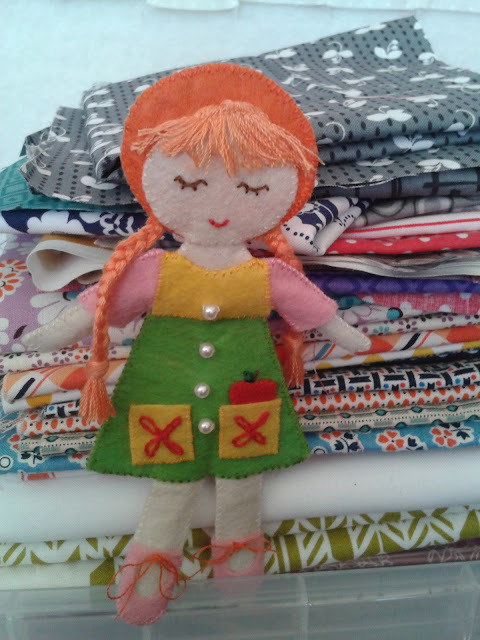 A zip pouch, a keyring, a doll, a simple bag or a quilt block. Making something quick and easy that doesn't take much time gives you the satisfaction of a finish and can spur you on to greater things! 6 - Scribble! Doodle, draw, write things down, cross them out, colour outside the lines, pick up a pen/pencil/crayon and just play. I like using words because that's the way I think and just writing out lists of random words can sometimes spark an idea for me. 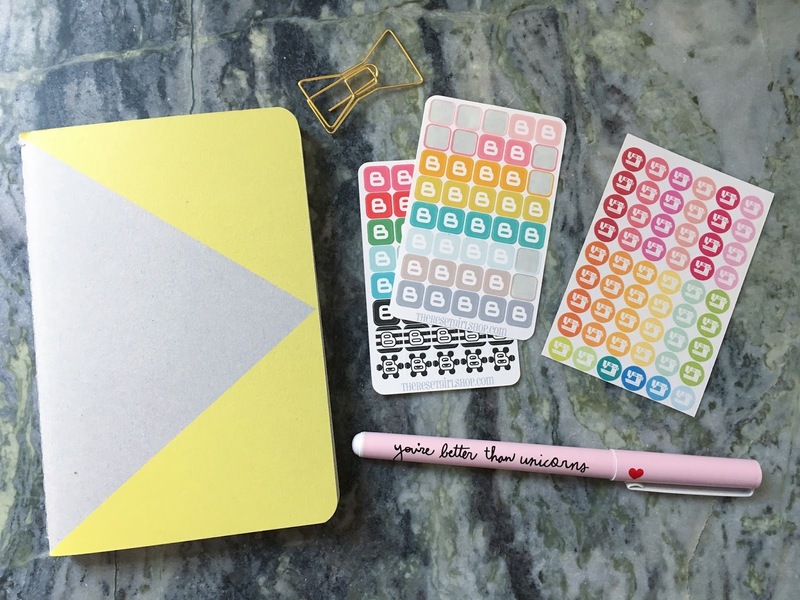 Keep notebooks to jot down ideas or projects you want to make and then you can refer to them for inspiration. 8 - Purpose! Think about why you're being creative. What are you doing it for? There will be motivation to get creating when you really consider the value and purpose of what you are making. This feels especially pertinent to me this evening, as my daughter and I went to visit her friend in hospital. This young girl is having chemotherapy and while the prognosis seems good overall, there are complications she may not recover from. Joan made her a sweet blanket teddy (she did some stitching and stuffed part of a piece of fabric, which I sewed together - shame I didn't get a picture as it was very unique!) and I gifted her a quilt. Sewing for someone that needs comfort, for one of the charities that collects quilts, or for a friend or family member, is probably one of the reasons we all started and then continued to sew. Give meaning to what you do. I hope this might prove helpful! How do you restore your creativity? Let me know any of your tips in the comments! My favorite way to switch off is take a nap! :D Also, switch on for me can be exercise. Sometimes I get lost thinking about quilts during that time, but I feel ready to tackle the next thing. This is a great list! Another thing I like to do is plan or attend a sewing day with friends when possible, even if a lot of sewing doesn't get done. Being around creative energy (like at a guild meeting, too!) can be very helpful. This is SO helpful- wise words Lucy! Thanks for sharing .... "I Love Lucy!" Very interesting--it seems to be a theme now that we are all overloaded with beautiful pictures because of the immediacy of social media. You're right, sometimes it's difficult to find your own creative voice or to take the time to just be! Very helpful!! Thanks for sharing! Thank you...I am feeling tired, achy, sore, and unmotivated. I have 6 or seven projects started but am not excited about any of them...I am taking your advice...especially about purpose. Great ideas, Lucy. I always feel more creative over the Autumn/winter for some reason - cosy nights in maybe?